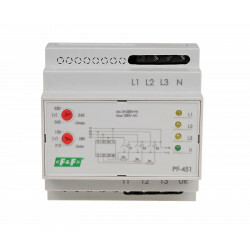 Automatic phase switch with 400V phase voltage output. 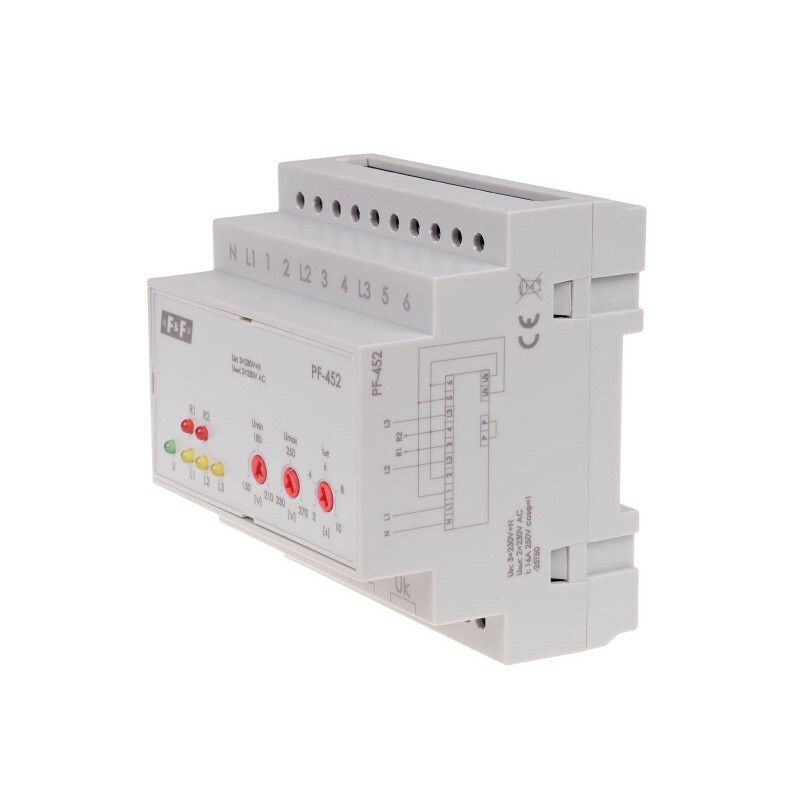 Automatic phase switch is used for maintaining the power supply continuity of the two-phase circuit in case one of the power supply phases fail or its parameters drop. 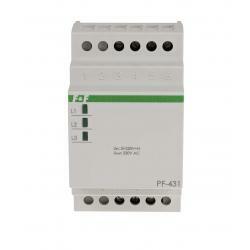 Optional it may serve as a controller that allows to power the selected circuits connected to one or two phases. 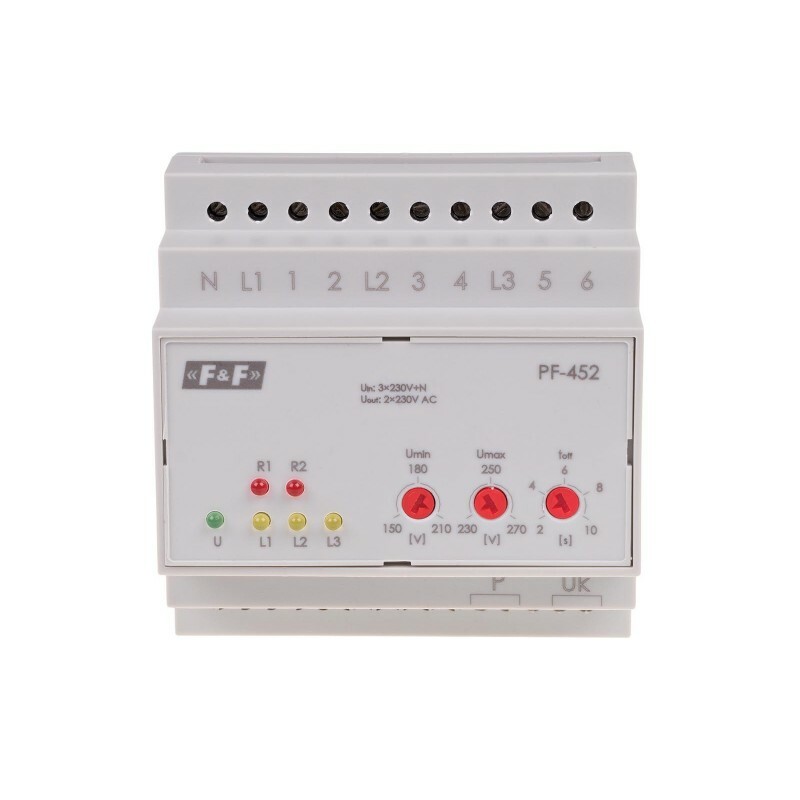 * priority control function - maintaining power of the selected receivers with the one correct phase with simultaneous power disconnection for secondary receivers. 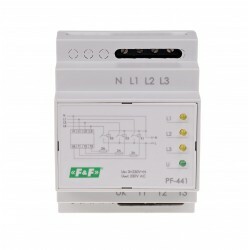 A three-phase voltage (3×230 V + N) is applied at the input of the switch (L1, L2, L3, N). The electronic system of the switch controls values of the applied phase voltages. Two phases with the correct parameters are directed at the outputs of the switch. The order of phases switching is not specified. When the parameters of one phase drop, the system switches to the next good phase. The switching time (the emergence of voltage at the output) after the currently activated phase failure ranges from 0.5 to 0.8 seconds (during this time the receivers have power supply). The Uk input is designed to control contacts switching while protecting against the situation when two phases are directed at one output (in case the relay contacts stick together). 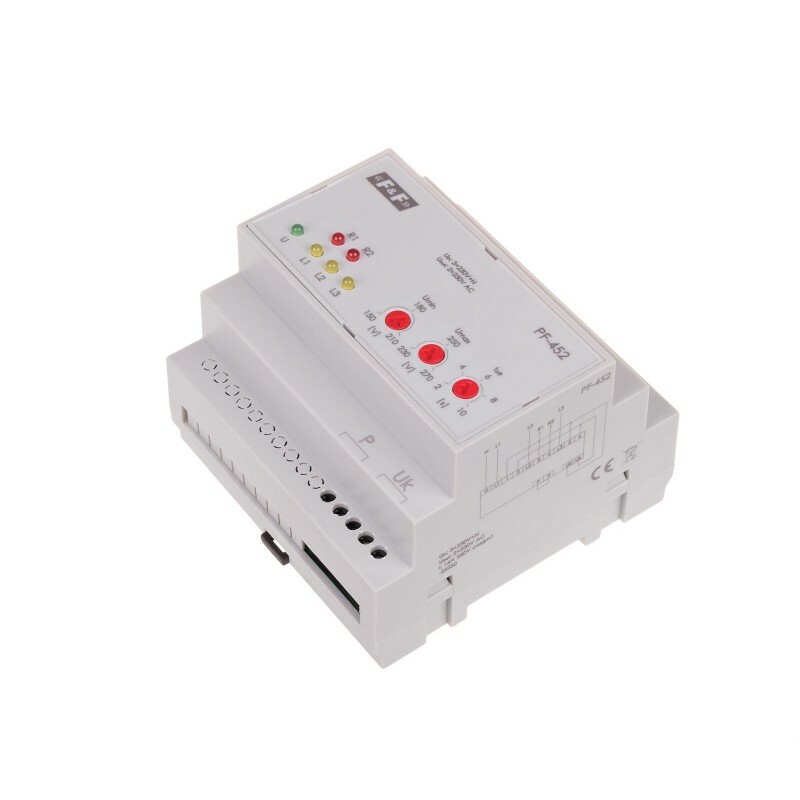 The switch can operate in two receiving modes: 400 V AC interfacial voltage or 2x230 V AC phase voltages. Good phase is directed both to the R1 and R2 output. 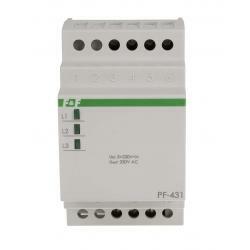 This means no 400 V power supply for two-phase receiving mode. The good phase is directed only at the R1 exit. 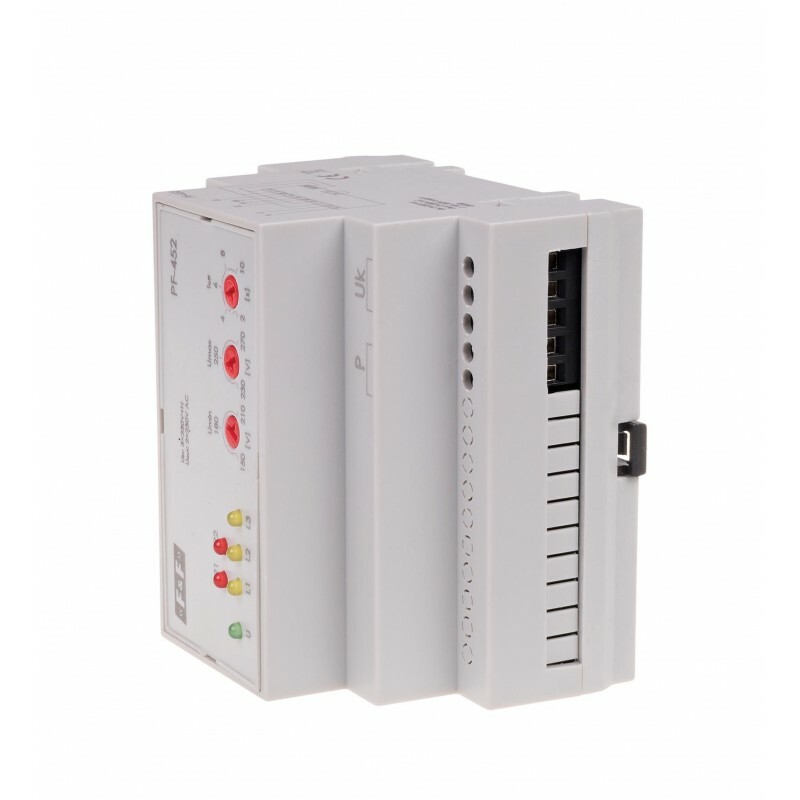 Application: priority controller – if, due to the load, it is not possible to simultaneously connect all your devices to a single phase, then the single-phase receivers of a key importance will be connected to the R1 output and they will have power as long as there is at least one good phase. Secondary receivers will be connected to the R2 output and will operate only when there are at least two good phases. Operation mode is set via jumper on the P-P terminals.